Earwax is actually a natural substance that is useful to protect the ear and ear canal. Several studies have found that ear wax may act as a bactericide that can inhibit the growth of some harmful bacteria. However, when the ear wax is too exessive, it can cause hearing problems and discomfort. You can clean ear wax easily, but you have to be careful to do it. You may read these following home remedies for removing wax from ears. Mix 1 teaspoon of salt into 125 cc warm water in a glass, then mix until the salt dissolves. Then, soak the cotton into the salt solution in the glass. Take the soaked cotton, if the water is excessive then squeeze first, then put a few drops of salt solution into the ear. Until finally, the solution soaks and floods the ear canal. Do this while sitting and be careful. After a while, tilt the ear down to lower the water of the solution until it gets out. This is one of the safest ways to remove earwax. How to do it? First of all, dip a piece of cotton into a warm olive oil. After that, you squeeze the excess oil on the cotton, then input and place the cotton in the ear to reach the dirt. Next, wait about 5-15 minutes. Then, remove the cotton. You can repeat several times until the dirt really decreases. Baby oil is another safe home remedy to remove ear wax because Baby oil products are very soft and do not provide side effects on the skin. You can use this baby oil as you use olive oil. Generally, baby oil is used to moisturize the skin and safe for baby's body. But, you can also use it to clean the ears, it is true that baby oil can be dripped into the ear safely to melt ear wax so that you can clean it. Coconut oil has a lot of benefit and you can use it to remove ear wax naturally. Simply, you can pour coconut oil into the spoon, then heat the spoon (with fire candles and so on) until finally warm. Then, dip the ball cotton ( using cotton bud), then squeeze it a little. 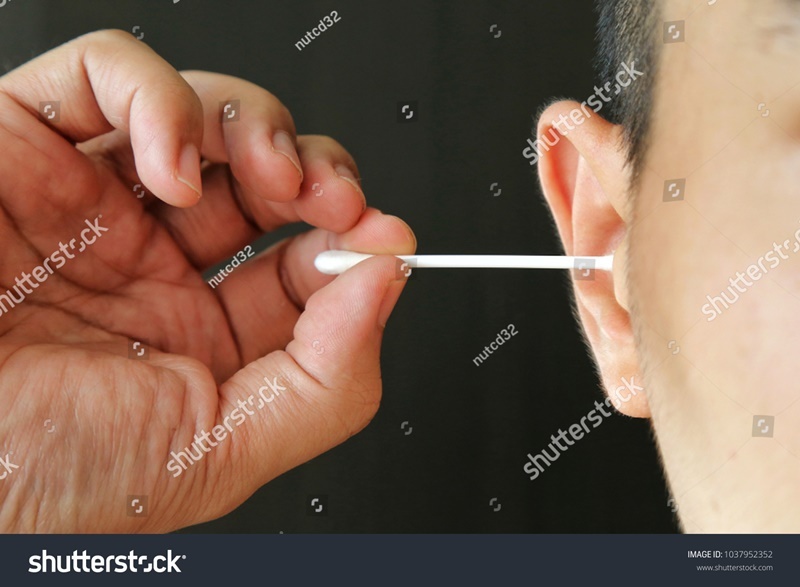 Next, you can insert the cotton made into small size into your ear when it is still warm because the warmth of the coconut oil will function to remove the dirt or ear wax easily. After taking a shower, you can clean your ear sing warm water. But, you are not recommended to use cold water because it can cause vertigo. Make sure you use warm water so that the ear wax will melt and you can get rid of it easily. Finally, those are a few home remedies for removing wax from ears effectively. There are actually many other ways that you can try. For example, you can also use onions to remove ear wax, but you have to blend it first or you can also use vinegar and alcohol, but you have to be careful and do not use it too much. 0 Response to "5 Home Remedies for Removing Wax from Ears"